Thank you Azm for this information. Now... does anyone know what did TA launche at CeBit? 2. the other way to use mp3 ringtones (I prefer & highly recommend this way) is to use the customise sound software from pc suite. Just like in your 735 software , you will choose any part from your full mp3 file (up to ~29secs + ~200kb), only this time you will get a true mp3 sound (not a lower quality amr file in your 735 @~45kb). some will say 29secs is too short but hey ! do you want to pick up the phone or you just want to hear the ringtones. 3. many user complaints about no individual ringtones like in most nokia phone- this phone only support directory ringtones. there is something just right for you guys! just choose any of the video files from memory card / phone memory (recorded or downloaded from pc/website) and assign it to any specific contact number. when the person is calling instead of your normal directory ringtone that ringing, the person name will appear & the video will be played as a ringtones-- so cool they call it videotones. Try it guys but of course, you have to buy the phone first . but it is true that the mp3 as suoneria they cannot be put??????? I have a ot557, in the specs says it has ptt, but I have never found it. Ohh, I forgot, I´m not sure, but I think I saw it in gray color (the rubber part); is it for sale in that color? Guys, real thanks for the photos and video; by the size, I assume photo 1&2 are in std quality. But I just want to know if it can take VGA photos with zoom, and how much zoom is allowed in VGA resollution. 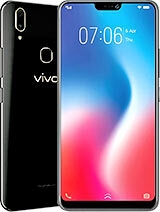 Che Bad, where did you buy the s853? did you order it online somewhere? 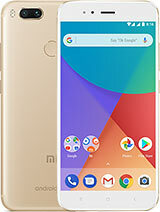 i'm from the USA and i would like to purchase this phone. not responsive at times. 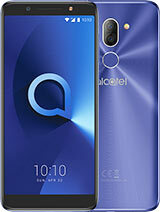 still being an alcatel product, excellent value for the money. Thank u all for the infos. I just need some of u who bought the mobile already to conclude this critical points about the mobile. 1.Full Functionality of the BLUETOOTH transfer (Headset, PC , Data transfer "send & recieve). 2.USB data transfer & quality of the software included. 3.Name Search by first Character only? 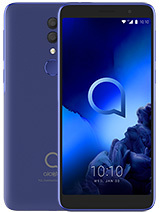 We have been waiiting for along time for the release of the phone here in EGYPT. The release is postponed to 15 MARS & i don't know why. hope that this delay is for enhancements to be added on the phone. 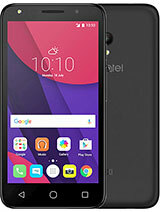 I think Alcatel needs this phone to make successful back into market as Alcatel has made very bis steps back in the cellular phones market. no PTT in my malaysian version. other owner correct me if I am wrong. Is there push-to-talk and has anyone tried it? 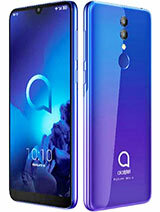 I think Alcatel OT S853 was take over as the number one best audio sound for today! I have a Nokia 6230i and a Alcatel C651. Both have advantages and disadvantages. 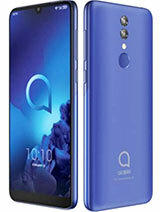 Anyway, I'm a little disapointed because of 6230i (not so much of "user friendly" - like the Alcatel's, although with rich multimedia content). I'm stil waiting for the 853 to be released in Eastern Europe and hope to be ready a second software platform when this will happen. Anyone tried a 1GB-card with the 853? Is there option for rewind while videoplaying? 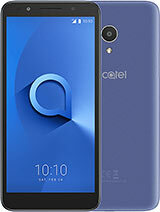 "After a long time alcatel has launched a mobile phone that suits all basic needs...viz Clicking photos,hearing music,radio..etc.Given,the bluetooth funtion allows u an easy access to all external data.Also the look of the phone is quite ergonomically designed,now we just have to wait and watch the results of the phone.I am very much keen on buying this one,but cannot decide on,because I have been using nokia phones for quite sometime,But am sure of this phone to do well,especially the sound,which has been focused on a lot.And if a price that does not burn a hole in your pocket? ?Why not,will be somthing,quite demanding".